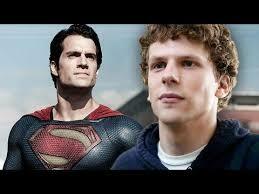 There has been a huge backlash to the casting of Jesse Eisenberg as Lex Luthor in the Man of Steel sequel. The blowback wasn’t quite as bad as Batfleck’s, but I’d argue, it is more deserving. If you’re trying to figure out what Eisenberg’s Luthor might look like on-screen, look no further than the masters at Screen Junkies. In their video, they juxtapose clips of Henry Cavill, Eisenberg, and portions of Man of Steel to hilarious results. Check out the video below to have your life made.